What Does Bevin’s Victory Mean for Vitter? Matt Bevin’s victory in the Kentucky governor’s race is yet another sobering reminder that polling is a risky business. And for some Republicans, Kentucky could be a glimmer of hope for GOP Sen. David Vitter’s gubernatorial bid in Louisiana. Bevin’s victory wasn’t the political shockwave on par with Eric Cantor’s primary loss in 2014, but the Republican’s margin of victory was stunning. Recent polls, public and private, show Vitter trailing Democrat John Bel Edwards by between 12 and 20 points, but it is possible that those polls understate the Republican’s support in Louisiana, as they did for Bevin in Kentucky. Of the six public polls since the end of September, five of them showed Conway in the lead with margins between 2 and 5 points, including a survey from Bevin’s campaign in the middle of October. A sixth poll, an automated survey by GOP firm Vox Populi Oct. 26-27, showed Conway and Bevin tied at 44 percent. That was the last public poll in the race, and private polls didn’t hint at the final 9-point margin either. In the face of a clear, albeit narrow, trend line toward Conway, we moved the race from pure Tossup to Tossup/Tilts Democratic in the middle of October. But we also wrote that Bevin would need the vast majority of undecideds to swing in his direction, in spite of his negative image. That looks like almost exactly what happened. Conway consistently polled between 42 percent and 45 percent and received 44 percent on Election Day, compared to 53 percent for Bevin. A second Democratic strategist added that the undecided voters were disproportionately white, and Democrats should not have counted on any of them coming to Conway. In the final days, Republicans did a good job of turning the focus of the race toward cultural issues, driving turnout in rural counties. Earlier on Tuesday, one GOP strategist thought independent Dale Curtis would need to be at 2 percent to 3 percent or less for Bevin to win narrowly. Curtis received nearly 4 percent and Bevin still won by nearly 9 points. It might be easy to dismiss Bevin’s victory because Kentucky has been trending Republican. But Bevin is only the second Republican to win a gubernatorial race in the Bluegrass State in over 40 years. And, as Daniel Donner of Daily Kos Elections pointed out, Conway’s 44 percent is the worst showing by a Democratic gubernatorial candidate in Kentucky since 1863 — yes, when Abraham Lincoln was president. Bevin won despite being regarded as a flawed candidate, running an unorthodox campaign, being outspent and being called a tax cheat and pathological liar by Democrats and some members of his own party. In the end, Republican and Democratic outside spending was virtually even, but Conway outspent Bevin $6.6 million to $1.7 million on television. In the end, being a Republican was more important than being liked in Kentucky. Republicans exerted their only spending advantage in the final days of the race and Bevin&apos;s campaign intentionally closed with a positive message with the candidate to camera, which allies believe was critical to closing the deal. The Democratic Governors Association laid some of the blame on "the unexpected headwinds of Trump-mania." But Donald Trump was not an October surprise. If, indeed, his presidential candidacy was having an impact on the race, pollsters should have picked that up weeks ago. Of the half-dozen strategists I talked to on election night, not even one had a firm grasp on what happened in Kentucky on Tuesday, particularly without an exit poll to guide the analysis. Turnout was low (nearly 31 percent ), but not abysmal. And it was actually higher than at least one Kentucky Democratic strategist predicted. He estimated turnout to be close to 800,000, when it actually topped 982,000. Conway underperformed in the two key urban areas. He won Fayette County (including Lexington) by 15 points, 55 percent to 40 percent, while Alison Lundergan Grimes won it by 23 points, 62 percent to 39 percent, in her narrow re-election victory. Conway won Jefferson County (including his Louisville home) by 19 points, 58 percent to 39 percent, yet Grimes won it by 26 points, 63 percent to 37 percent. But the precise reason for Conway’s underperformance is elusive, as is pollsters’ inability to track the race accurately. Some strategists believe the Democrat should have run more positive ads, while President Barack Obama’s poor job approval rating (and Conway’s connection to the president) may have been too much for the Democrat to overcome. With Bevin’s victory, Republicans would control 32 governorships, compared to 17 for Democrats, unless Democrats are able to beat Vitter in Louisiana to compensate for the loss in Kentucky. The most consequential election result in Kentucky may have been further down the ballot where Democratic state Auditor Adam Edelen lost re-election to Republican Mike Harmon, 52 percent to 48 percent. Edelen, who Lexington Herald-Leader political writer Sam Youngman said was perhaps Democrats’ biggest rising star in the state, was regarded as a potential challenger to Republican presidential candidate Rand Paul, who is up for re-election next year. According to one strategist Tuesday night, Democrats believe Paul is still vulnerable for taking his eye off the ball in order to run for president. “Let the dust settle and we will see who is ready to make a run at him,” according to the source. While it would be difficult for Edelen to bounce back so quickly after his loss, one Kentucky Democrat said another candidate, one with personal money, is considering the race. The more pressing question is how to evaluate the upcoming gubernatorial runoff in Louisiana in light of the results in Kentucky. Some GOP strategists believe the “very serious sin ” that Vitter admitted to is more crippling than Bevin’s personality clashes with party leadership. In addition, Vitter will have had just a month before the Nov. 21 runoff to heal the Republican wounds from the Oct. 24 primary compared to Bevin, who had more than five months to bring Republicans together after his May primary victory. Edwards is also running a smart campaign, according to some GOP strategists, and running as a conservative Democrat, in contrast to Conway, who was more easily portrayed as a liberal from Louisville. 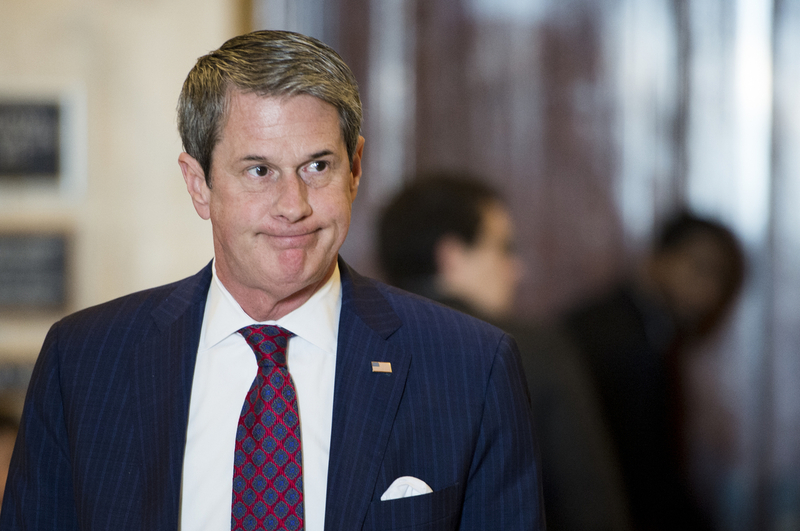 Vitter’s numbers have dipped to a point where some Republicans want him to drop his bid for re-election to the senate in 2016, so that the party doesn’t have to spend money defending a Republican state. It will be up to Republicans to turn the gubernatorial race into a referendum on Obama in the final days in Louisiana, but Vitter starts the sprint farther back than Bevin and more defined, as a sitting statewide officeholder. That makes it difficult for Vitter to change the dynamic of the race. But the significant understating of Republican voters in the Kentucky polls should at least give everyone some pause before declaring the end of Vitter’s political career.